Improving patient care has always been a top priority for the UA College of Medicine – Phoenix and its clinical partners. 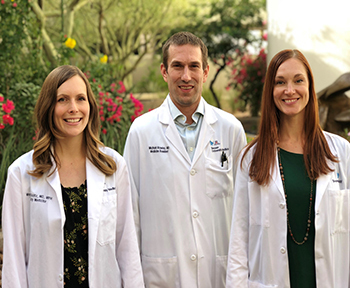 As medical providers continually search for innovative solutions to enhance the safety and quality of care for their patients, Banner – University Medical Center Phoenix (BUMCP) has facilitated that drive through its High Value Idea Competition. For the last four years, Banner has held the competition annually, inviting residents and fellows to come up with inventive, cost-effective and research-backed projects that will improve health care. More info on history. The program was started five years ago by Steven Brown, MD, and Cheryl O’Malley, MD. How can we improve the quality or reduce the cost of care? You see opportunities every day and it is your time to act! All Residents and Fellows are invited to submit your individual or group idea(s). An interdisciplinary team to work with you on designing and implementing your idea. Opportunity to win an additional $2,500 Grand Prize at the May 14, 2019, GME Quality and Safety Day. Travel support to present your project at a national meeting. Potential impact on house staff education. Potential impact on patient care (quality, cost, process, safety, etc.). Alignment with Banner Health System Initiatives. Alignment with Choosing Wisely lists. The deadline for submissions was October 22, 2018. Cash prize funding by BUMCP Medical Staff. Interdisciplinary team support by BUMCP Administration. Funding support by the Department of Medical Education.